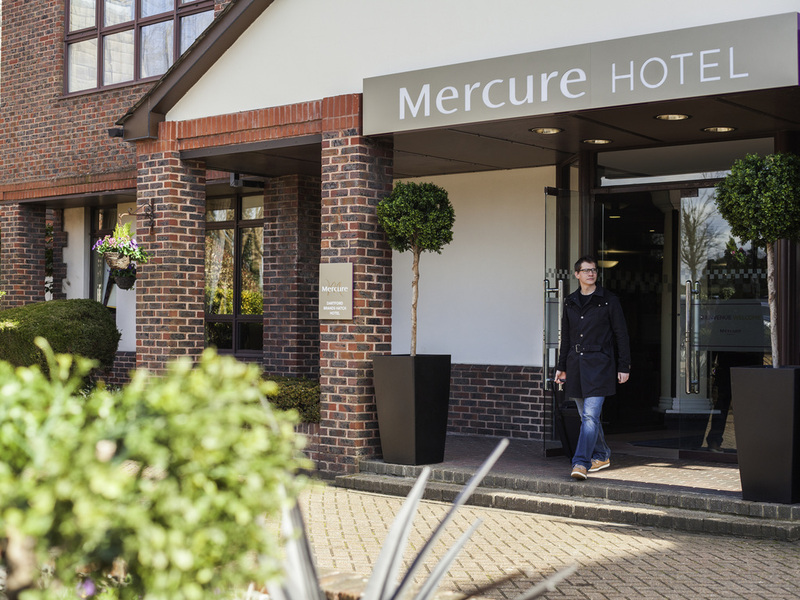 The 4-star Mercure Dartford Brands Hatch Hotel & Spa is set amongst beautiful countryside, making it a great option for those looking to relax and explore. Brands Hatch Motor Racing Circuit is a short drive away, and London Golf Club can also be reached in just a few minutes. After a busy day of exploring, guests are welcome to unwind in the health club, which features an impressive indoor pool and a modern gym. Our Classic, Superior and Privilege room options are designed with style and comfort in mind. Classic rooms include one double bed, TV, free unlimited WiFi, en suite bathroom with toiletries, a hairdryer, tea and coffee making facilties. Superior rooms include two single beds, TV, free unlimited WiFi, en suite bathroom with toiletries, hairdryer, tea and coffee making facilties. Enjoy a meal or drink in Genevieves Restaurant and motor sport themed bar, which overblook the legendary Brand Hatch Racing Circuit. Come and along and enjoy from a selection of beers, refreshing drinks, snacks and light meals. Located in the main reception area the Foyer bar is open until 22:00 daily, serving bar snacks and light meals throughout the day. Themed in true Brands Hatch style, our atmospheric Racing Bar is available to unwind, catch up with friends and watch sports.